Caerleon Pétanque Club Fundraising Quiz. Don’t forget we have the fundraising quiz night at Caerleon coming up on the 12th of April. Get your entries in asap as this looks like it is going to be a popular night, details below. 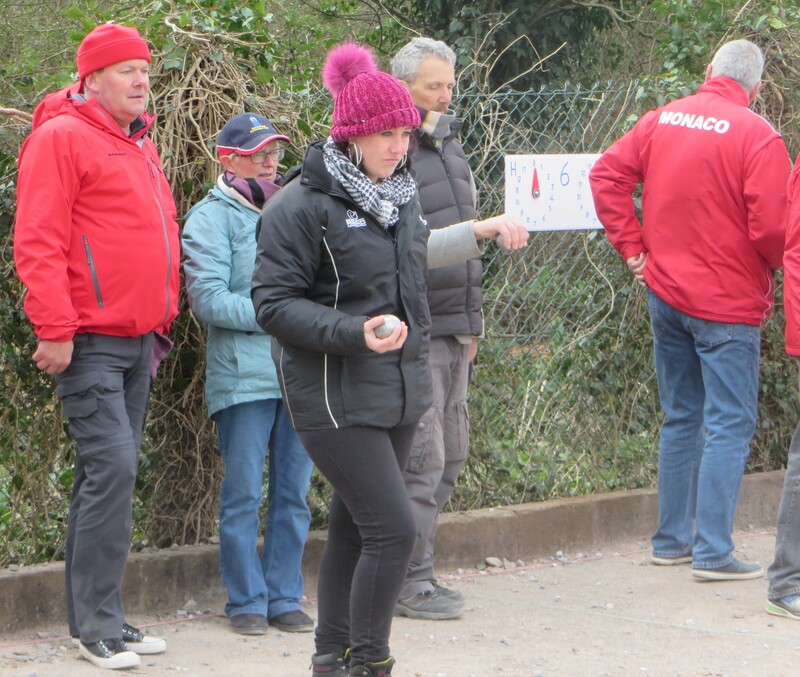 Last Sunday we had a great turnout at Pontyclun PC on what was not the warmest of days, the days preceding it were glorious as was the day following it but it was March in Wales, what did we expect. 16 teams entered to compete for the eight places available to represent Wales at the Celtic Challenge, which is being held at the same venue over the weekend of the 4th – 5th of May 2019. It was a tightly contested event on what were generally thought to be challenging pistes. With two teams winning five out of six games and three teams winning four of their six we were left with eleven teams and places for only three of them to represent Wales. Of the eleven remaining teams six of them had won three games and lost three which meant it came down to points and the Swiss System that was being used to decide who would go through to represent Wales, the final results are in the table below. Congratulations to all who took part making this a successful event and good luck to the top eight teams who qualified and will be representing Wales in the Celtic Challenge (the rest of us need to get practicing so we are ready to do it all over again for the Home Nations qualifiers). 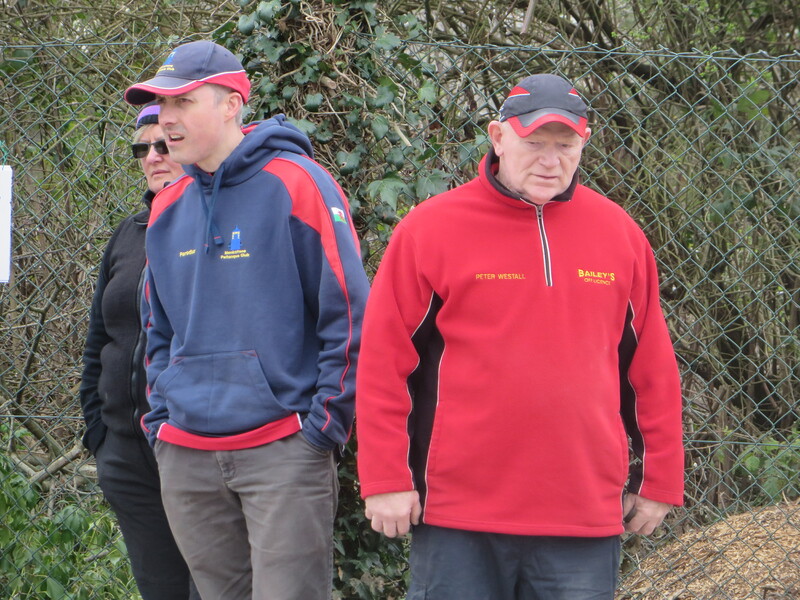 A big thankyou to Graham Attfiled and Tony Smith for setting up the scoring system and running the event and to Pontyclun PC for hosting it. 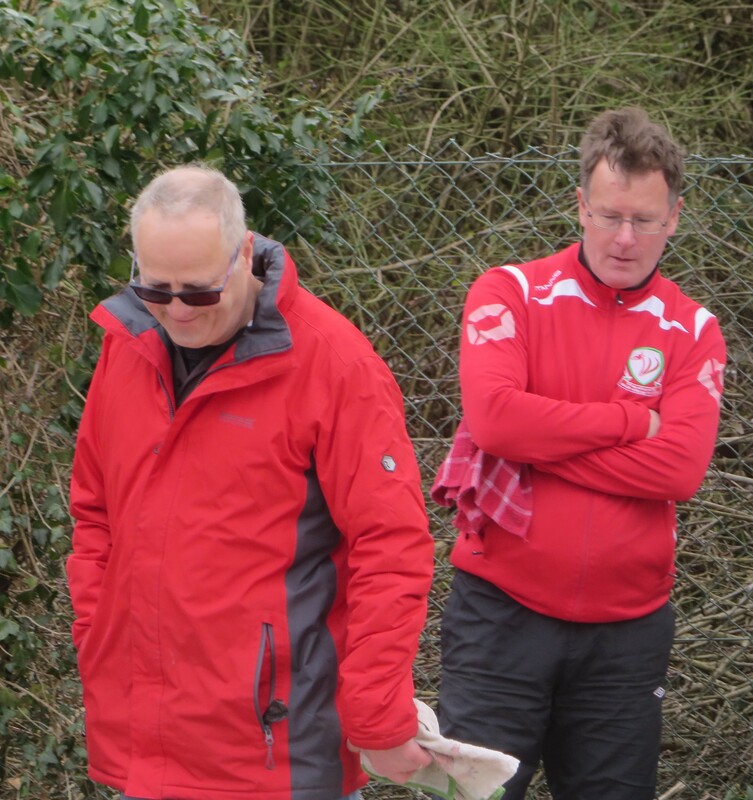 Don’t forget that this year’s President’s Cup is being held at Caerleon R.F.C Petanque Club on Sunday 14th April. We only have only five entries so far, to ensure you don’t miss out on an opportunity to play in this event you will need to submit your entries to asap. 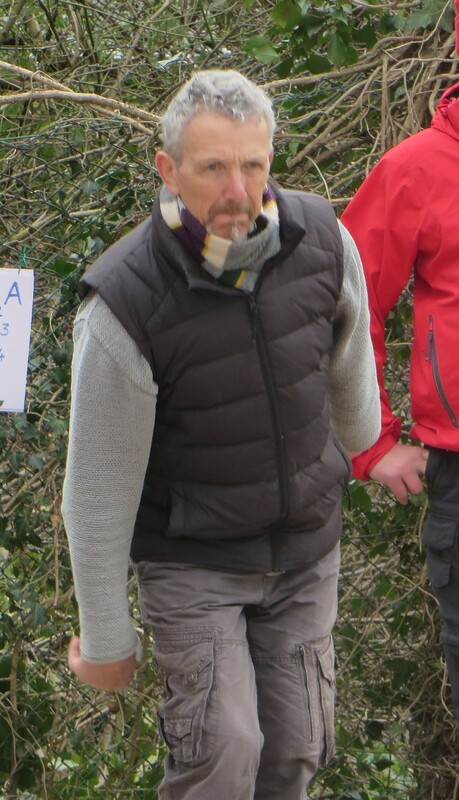 Bob Pugh our new president will be playing and following on from his performance in the Celtic Challenge last week we are waiting with baited breath to see what superstar team he will be putting in. Registration is 9.00am to 9.30am – pre-entry is required but payment can be made on the day. Closing date is Sunday 7th April 2019. 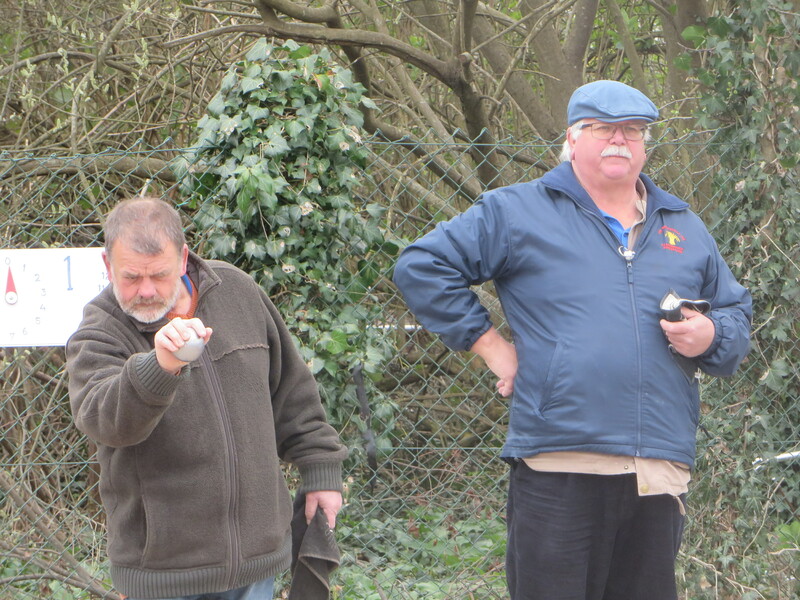 We are holding a WPA OGM at Caerleon Petanque Club on Wednesday 3rd April at 7:30pm. 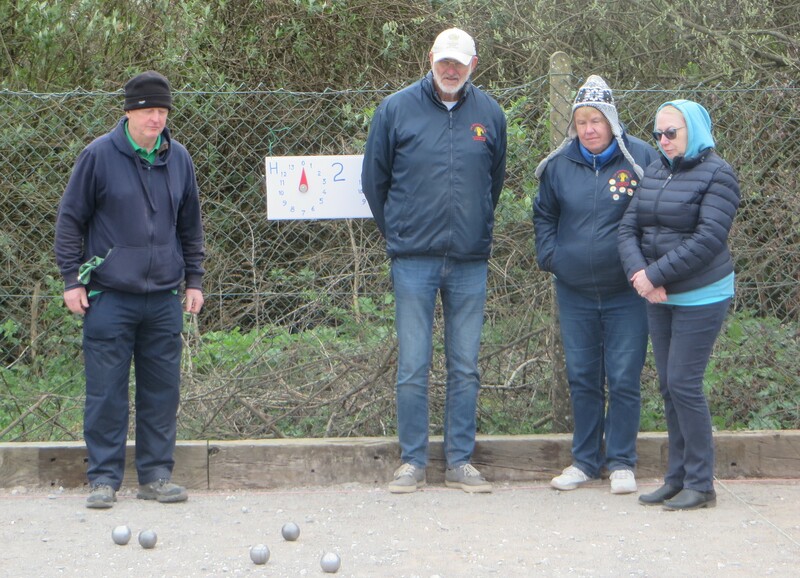 Brecon RFC Petanque Club are holding the 2019 Austin Jones Open Triples competition on Sunday 28th July. 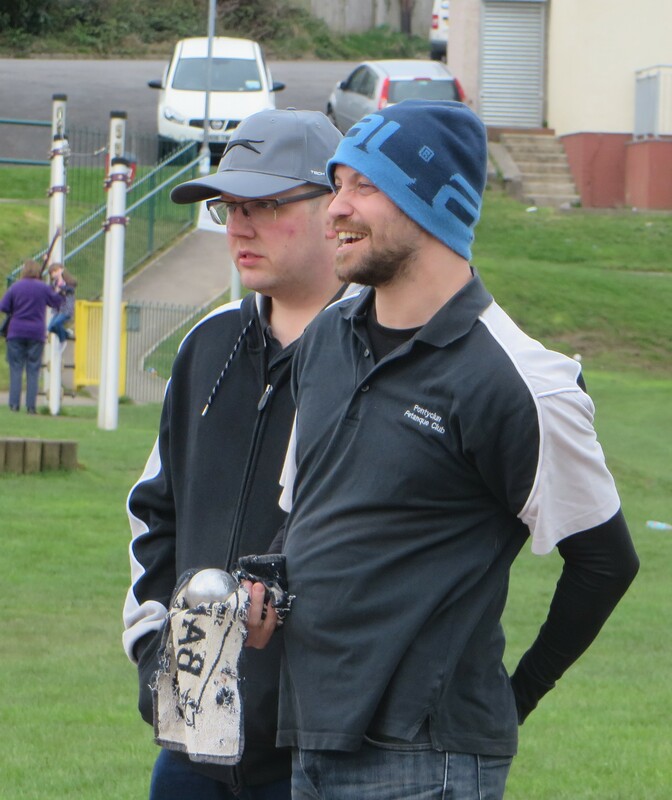 All the fixtures lists, contact lists, scorecards etc – in fact everything you need to get the new season underway are now published on the relevant pages under the Competitions tab above. Good luck to all teams and lets have some great competitive but friendly games in 2019. The Exec. would like to pass on their thanks to a member of the WPA that works very hard behind the scenes and without her there would be no league. As many of you will have noticed, Vickie has posted an update on this year’s league and we are sure there will be many more to come. Thank you Vickie, your hard work does not go un-noticed. We would also like to ask all teams to send the results from every league match to Vickie on the evening of your match, this is not a great ask with modern communications and will assist her greatly. I thought I had posted the results from the Stuart Clarke Cup (I had on all the other social media ie. fb, Twitter, Instagram) but obviously not in the most important place. 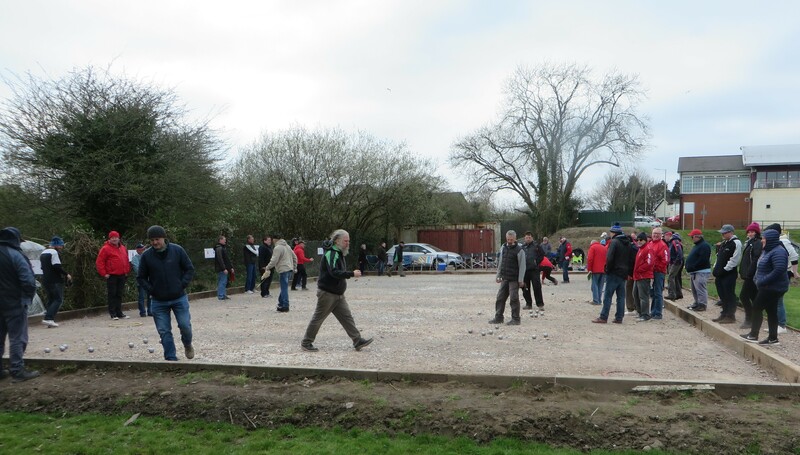 The Stuart Clarke cup was held at Monkstone Petanque Club, Pen-y-lan, Cardiff on St. Patrick’s day, 17th March. 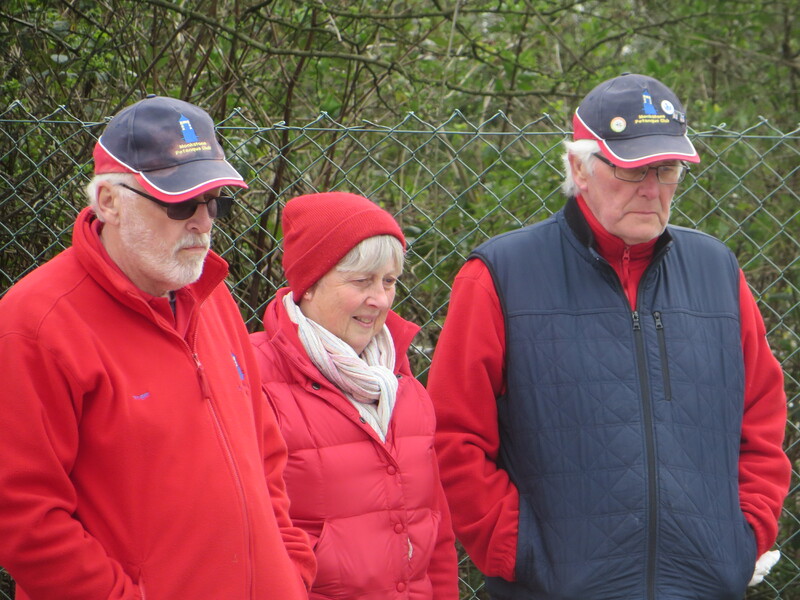 The weather left a bit to be desired, we had sun and heavy rain accompanied by the ever present wind but despite the inclement weather there was still a good turn out. The winning team were Derek Jones, Ian Bailey, Jean Yves Robic and Nai who won all six of their games. 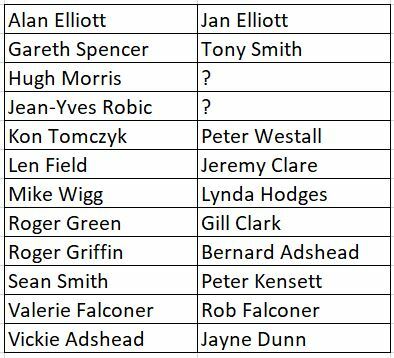 Len Fields, Jeremy Clare and Pete Westall came a close second having won five out of their six games. 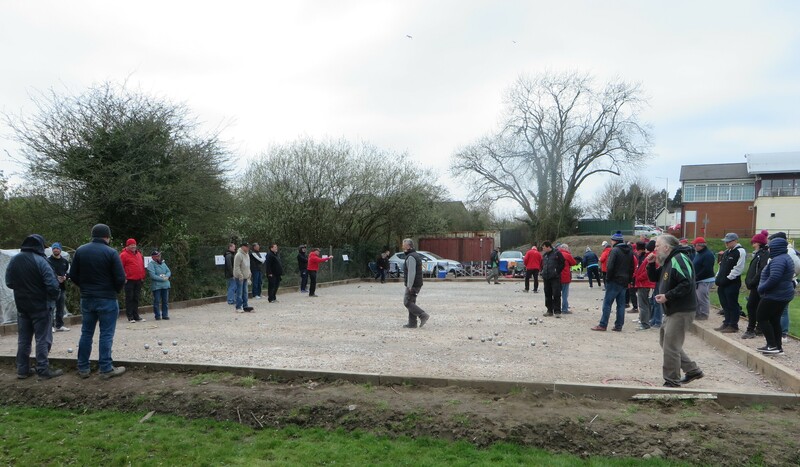 Thank you to Monkstone Petanque Club for the use of their excellent facilities. Mike Jones, the President of MPC presented the winners with their prizes as can be seen on the facebook link below.